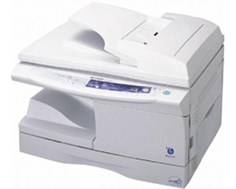 The Sharp AL-1641CS facilitates standard digital scanner, printer, and copier. The multifunctional features are a solution for the office or home. The design of the AL-1641CS looks similar to the Xerox MFPs. The MFP is no longer selling from Sharp; The printer is found at different retailers, and priced around $400-500, depending on the retailer. The Sharp AL-1641CS operates with a monochrome laser for prints. The printer is only 20.4 inches in width, 19.4 inches in depth, 15.00 inches in height, and 41.9 pounds. The compactness of the printer allows it to be fitted on any desktop or small area. With max copy-rates at 16 pages per minute, the rate is not too shabby but could be better at the printer's asking price. From the warm-up mode, a document takes 16 seconds or fewer for the first copy. From the auto power shut-off mode, a document twill take an average of 23 seconds for a print. The copy resolution is 600 x 600 dots per inch, and the 256 pixels in gray scale half-tones make the printer capable of dishing out decent quality documents. The max enlargement and reduction of documents is a set 25-400%. Automatic duplexing is available in hands-free method. The printer memory is 6 Mega Bytes. The first copy document will take an average of 9.5 seconds. The print resolution is 600 x 600 dots per inch with a rate of 12 documents per minute. Scan optical resolution is 600 x 1200 dots per inch with interpolated resolution of 9600 x 9600 dots per inch. The max document size for the Sharp AL-1641CS printer, is 8.5 x 14 inches; the minimum document requirements are 3.5 x 5.5 inches. The standard volume of 250 sheets and bypass feeder of 50 sheets makes it suitable to satisfy the demands of a fairly busy office. Personal Computer connection is available with USB and parallel. The printer will work with Windows 2000, Windows 95, Windows 98, Windows ME, Windows XP and Windows NT 4.0. Margin shift and 2-in-1 copying for documents are enabled. The copier is relatively painless to setup. The product manager software expresses clear instructions to fix errors during the initial setup. Users have expressed satisfaction with the initial setup of the Sharp, compared to that of HP products. The duplex printing is most productive on the printer. 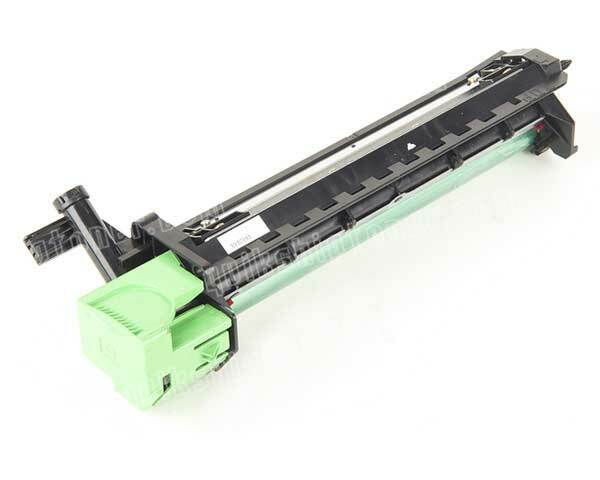 In comparison to other machines, the cost of maintenance and toner is quite reasonable. The maximum copies for continuous copy are 99 documents. The MFP recommends a monthly duty cycle of 5,000 documents per month. The exposure method utilizes a fixed top in moving optics with automatic exposure. The settings of normal, draft, and photo prefer to print out documents that are not distinguished from each setting. The picture quality is not perfect, but will get the job done. The performance power consumption of the Sharp AL-1641CS is 1000 watts. The device does not employ any Ethernet connection and is incapable of faxing. There are reports of the MFP not working when there are other drivers for different brands of printers installed on the computer. If there are any drivers installed from different printers, the computer has to be reformatted to provide the Sharp AL-1641CS drivers to run on the same computer. If the parallel port is used for connection, the scanner will not be available. The scanner software is SharpDesk 2.7; the button manager permits control of scan destinations. At the time, the compatibility of the Macintosh, Linux, and Unix systems with the AL-1641CS MFP is not likely. Most offices and small businesses still require the most critical element for printers; networking capabilities. Color prints are not available for the copy or print methods. TWAIN only works with the Windows XP system. Review it: "Sharp AL-1641CS "
The toner that can dish out 18,000 pages and the drum that will dish out 4,000 pages is provided upon the purchase of the Sharp AL-1641CS MFP. 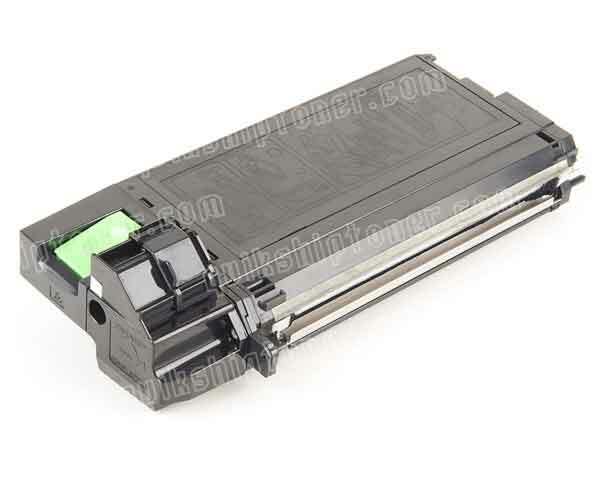 The toner cartridge AL-100TD is compatible for the AL-1641CS. An original toner drum package will deliver 18,000 pages.